Advanced Home Watch & Management Co. of Sarasota, FL, earns second-year accreditation from the NHWA! Advanced Home Watch & Management Co. of Sarasota, Florida, has earned accreditation from the NHWA for the second year. 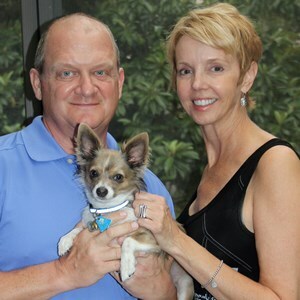 Owners Chuck and Ann Mazza moved to the Sarasota area in 2005. Previously working for Fortune 500 companies, they began performing Home Watch over 13 years ago by simply watching homes for their seasonal neighbors. As Chuck and Ann incorporated more of a professional approach to their trade, rather than doing Home Watch as a hobby or a “neighbor doing a favor,” their reputation for attention to detail and professionalism grew, as did the requests for them to watch more homes. They provide comprehensive property management solutions to property owners with seasonal and full-time properties. The goals that Chuck and Ann set are simple: They wanted to incorporate the principles and values they applied to their corporate life to Advanced Home Watch. They understand that it’s likely each client’s home will be one of the largest investments they will make in their lifetime. At Advanced Home Watch, Chuck and Ann offer their clients peace of mind, knowing their homes are being professionally checked on when they are away for a few weeks or a few months. 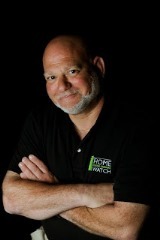 Chuck has earned the NHWA Certified Home Watch Professional designation, and he has completed Home Watch Boot Camp training. I also got to meet with him when I was on my Florida tour last month. Advanced Home Watch & Management Co. serves Sarasota County. You can contact them at (941) 218-0008 or at chuck@AdvancedHomeWatchSRQ.com. Learn more at www.AdvancedHomeWatchSRQ.com.